The culmination of years of research and product development, RENMA Chou-Mamorigata Kote are not only manufactured to your exact sizes and specifications, they are specifically designed to give optimum protection. Featuring a wide 10mm Nagazashi stitching, and extra padding layers, RENMA's Futon is thick and extremely well cushioned. Utilizing our original 'Infinity Grip' technology, RENMA presents the culmination of generations of expertise in crafting premium Kendo equipment. The RENMA Kote are made, not only to your EXACT sizes and specifications, but they are made to – what we believe – to be the optimum design, allowing an unparalleled level of comfort, and ease of use. The RENMA Type 1 feature an overall Orizashi design, making them lightweight, and quick drying. Kendoka who participate in regular, hard practice, will appreciate the areas of the Kote that are prone to wear and tear being reingforced with genuine Shoaizome deerskin, giving optimized durability. Further, genuine smoked deerskin palms are used, allowing for extra durability in this area also, as well as an accurate feel of the Shinai. 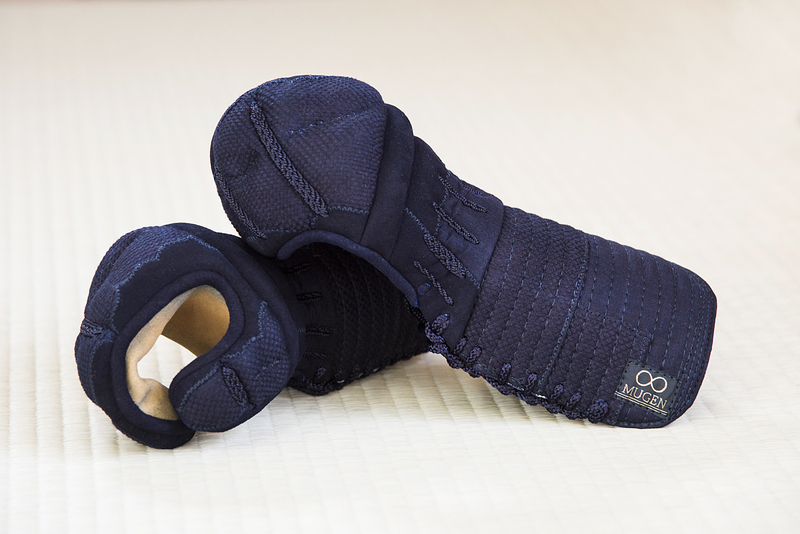 Being 100% Made to order in Japan, not only are the RENMA type 1 Kote extremely comfortable, and easy to use, they are also extremely protective. Whether you are still new to Kendo and are looking for a pain-free Kote, or a seasoned Motodachi, RENMA type 1 are perfect for literally all levels. MADE IN MIYAZAKI, JAPAN by The Kendogu Workshop of Japan Co., Ltd. IMPORTANT – PLEASE BE AWARE THAT EACH SET OF MUGEN SERIES DELUXE KENDOGU IS MADE INDIVIDUALLY, FROM SCRATCH, FOR EACH ORDER. NO CORNERS ARE CUT IN PRODUCTION OF THE MUGEN SERIES, AND WE PRIDE OURSELVES ON THE QUALITY WE OFFER. THIS QUALITY REQUIRES TIME. PRODUCTION OF GEKIHA IS DEPENDANT ON THE WORKLOAD OF OUR CRAFTSMEN, AND THE AVAILABILITY OF THE REQUIRED MATERIALS, HOWEVER, IN GENERAL, PRODUCTION IS CURRENTLY ESTIMATED AT 6 to 8 WEEKS. For full details on how to measure click here. * NB: Although we are perfectly able to craft almost any size, please note that we might have to ask you for extra fees and extra crafting time if your measurements are out of the Japanese standards, since it will require extra materials, special designs and extra work for our craftsmen.